According to press, painted by a young Adolf Hitler in 1912 still life will be sold at auction Nate D Sanders in Los Angeles on Thursday, March 26th, 2015. Starting price of the picture size 34 x 27 cm is 30 000 dollars. 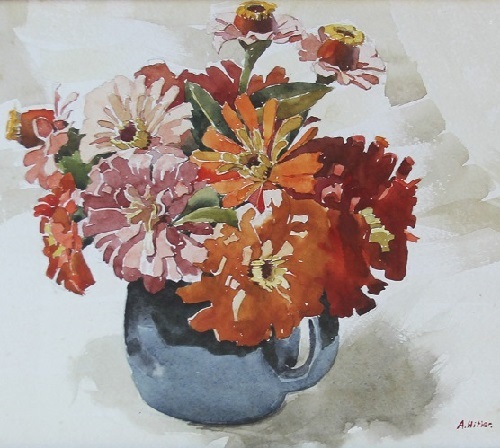 The painting depicts a blue ceramic jug with flowers. According to experts, it is quite unusual for Hitler, who at that time paid much attention to landscape and architectural images. Still life formerly belonged to the Jewish art dealer Samuel Morgenstern. He believed in the talent of the young Hitler, and since 1911 had been selling pictures of the future Nazi leader, thus helping him to earn a living. After Hitler came to power in 1930, the gallery of Morgenstern was captured, and the dealer was exiled to the Lodz ghetto (Poland), where he died in 1943. It is known that Hitler had been fascinated by visual arts since childhood. At age 18, he moved to Vienna to become an artist. However, both of his attempts to enter the Academy of Fine Arts, in 1907 and 1908, were unsuccessful. Having left art, the future Fuhrer volunteered to participate in the First World War, after which he decided to try his hand at politics. In total, the young Hitler painted about two thousand drawings. 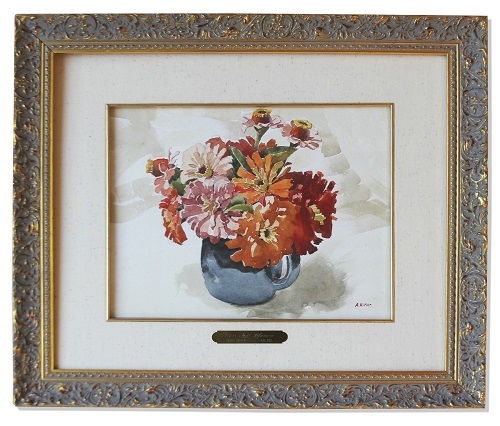 Several years ago, 13 of his early watercolors were displayed for sale. According to an expert of the auction, these works are more than mediocre.